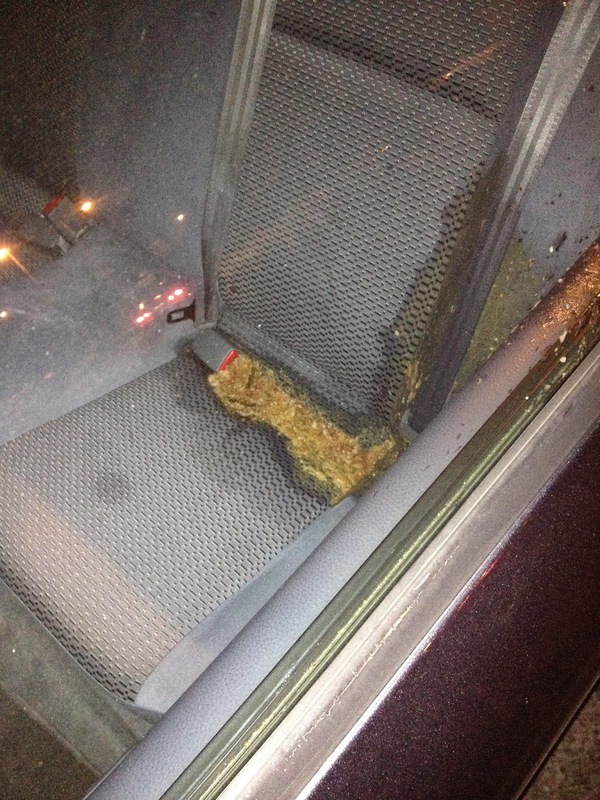 We posted a Lyft vomit article last year. A former Lyft driver drove home the worst Lyft passenger in the world. This San Francisco female rider, dressed in a sheep costume, vomited all over the interior space of a 2002 Mitsubishi Lancer 4-door sedan. It took this Lyft driver 3 hours to perform initial cleaning and another week of extensive cleaning to clean his ride. An Uber client was unfairly charged a clean-up fee. To top this off, this client gave his driver 5 stars. 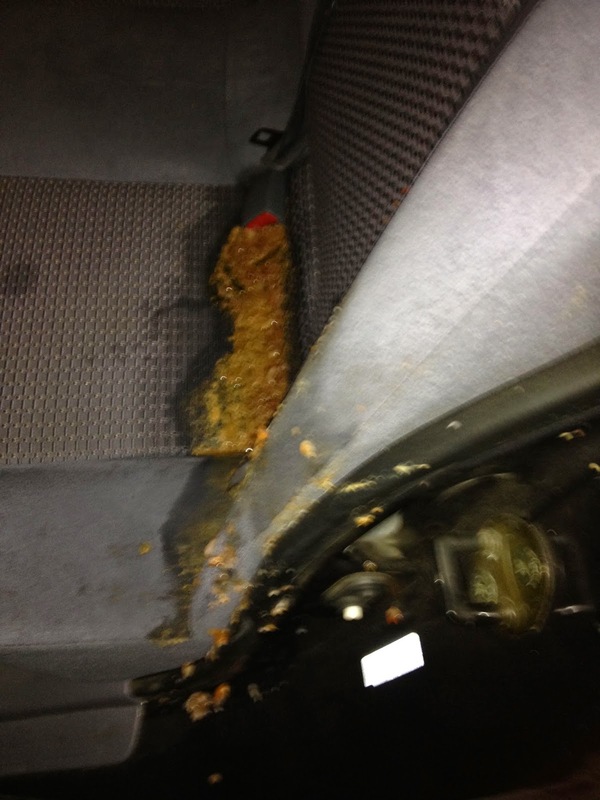 In the end, this New York City UberX driver submitted false vomit images to Uber in an attempt to receive cleaning reimbursement. These images were taken from this website to report a fake vomit episode. This vomit reporting is the most unethical act ever. Shame on this driver for trying to take advantage of a valuable Uber client. This Manhattan Uber client doesn't deserve this poor treatment. San Francisco images taken back in October 2013 were falsely used to report an Uber vomit episode in New York City this month (March 2015). How many riders have overlooked charges for messes they didn't make? Check your receipts to make sure you don't get charged for rides you didn't take and vomit messes you didn't make. 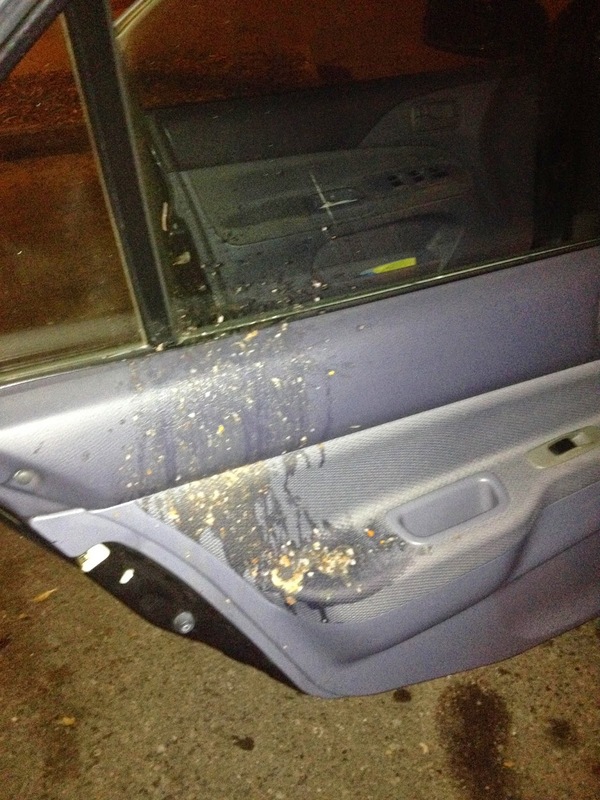 Courtesy of this former Lyft driver, we have the original email notifying Lyft of this vomit event in 2013. As you can see below, the email has a date stamp. I need an authorized individual to charge $250 against a Lyft user Ryan. 2 hours into my shift, a Lyft user instructed me to take a female friend home. 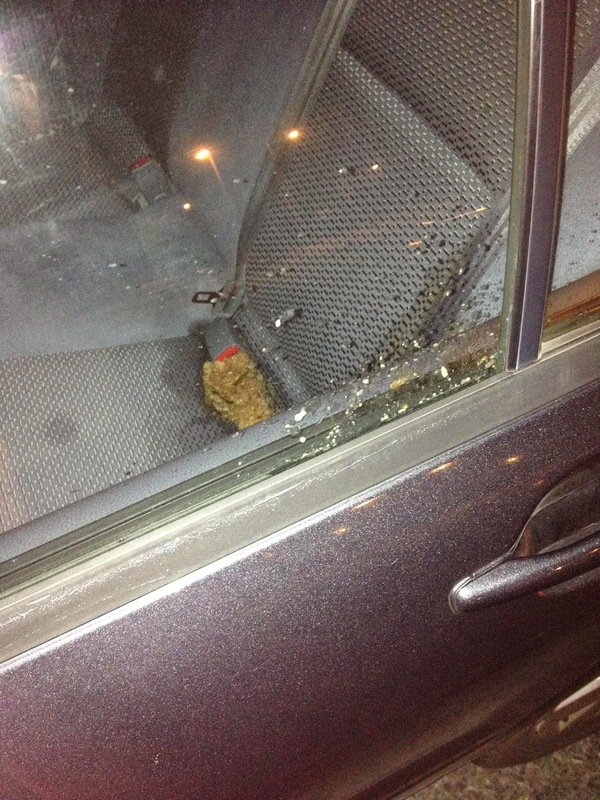 Once we reached her place of residence, this girl began to vomit nonstop on the back seat and on the inside door. She was really drunk. I had to end the night 5 hours early. I won't be able to work tomorrow. It really set me back. I will have to do extensive cleaning. Please have an authorized person charge my last Lyft rider on October 26, 2013 the $250+ fee and have this amount sent to my account. The photos of the mess and of the Lyft user are shown below.